We think Cambridge is the best place to learn English – that’s why we opened Select English in the heart of the city 25 years ago. Read on to discover what makes Cambridge a top choice for language learners. Our students frequently comment that Cambridge feels like a ‘studious’ city. Owing to the huge student population of the world-renowned Cambridge University, the city is full of hard-working intellectuals, fostering an atmosphere of academia. Cambridge students wrote the book on how to work hard and play hard – so it’s the perfect place in which to learn English during the week and then let your hair down at the weekend! What better setting in which to learn English than a city oozing history and tradition? To walk through Cambridge’s streets is to follow in the footsteps of the Anglo Saxons, the Normans and the Romans, before we even reach the University, which was founded in 1209. Beautiful, ancient buildings surround you at every turn, providing the ultimate inspiration for your language studies. As the home of two universities, countless language schools and a number of prestigious independent schools, Cambridge welcomes thousands of international students every year. People also come from overseas to work in Cambridge-based publishing, science, technology and healthcare organisations. Not to forget the tourists who travel from all over the world to visit Cambridge! It is a truly international city and a wonderful environment in which to learn English. Despite Cambridge’s epic history, it remains a small, compact city. It’s easy to find your way around on foot or bicycle and fairly difficult to get lost. This can make life a little easier for newcomers and help you to feel safe and at home in your new surroundings. Our students have also commented on the friendliness of the local people, who are happy to chat to visitors and help you practice your English. 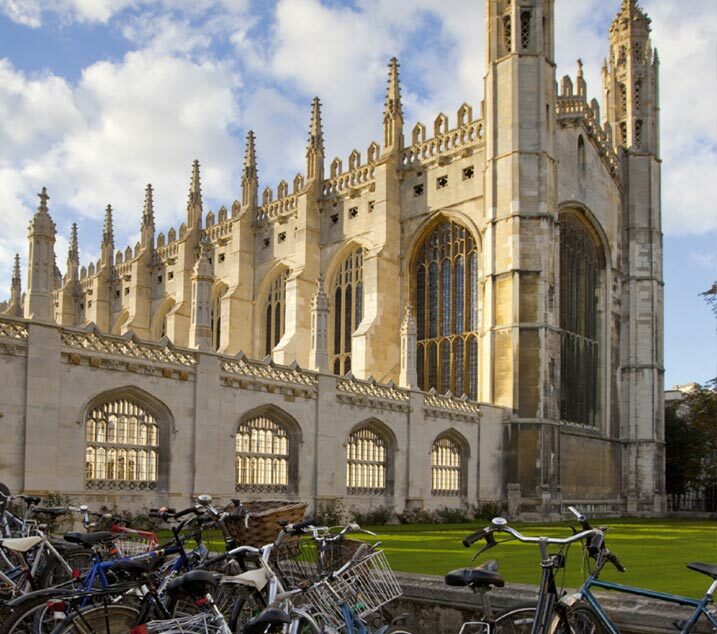 If you would like to learn English in Cambridge, take a look at our courses here.